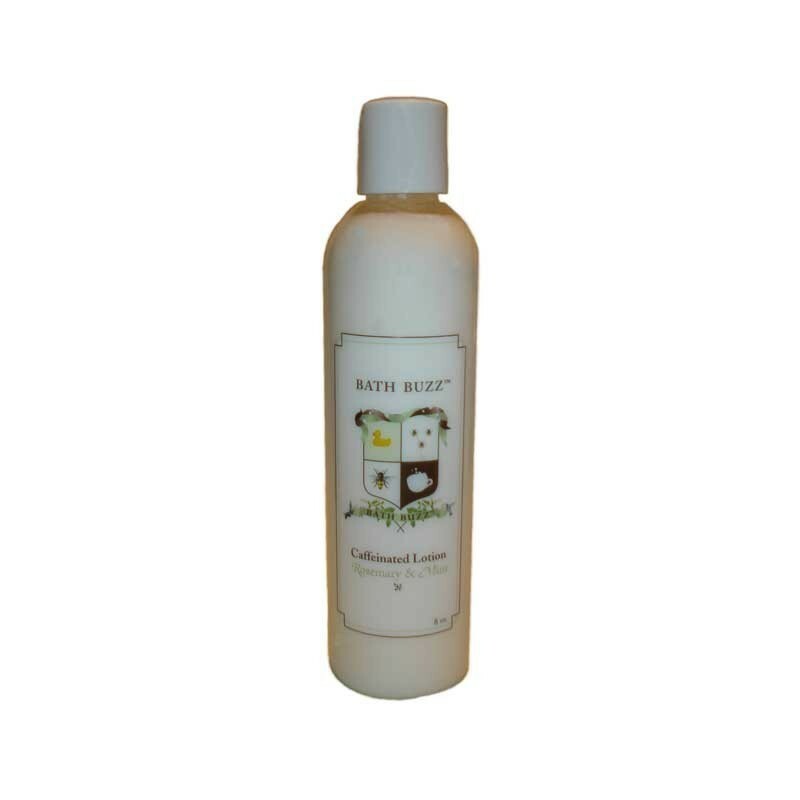 Bath Buzz Caffeinated Lotion is the luxurious lotion with a buzz. Use it in the morning to add a radiant glow to your skin while getting a blast of caffeine. The rosemary-mint caffeinated lotion is refreshing and invigorating, leaving your skin tingling with energy! You get a convenient 2 ounce travel size of lotion loaded with caffeine.